The A-FN sheet metal cutting nozzles are made to cut sheet mild steel up to a 3mm maximum thickness. A-FN style cutting nozzle has been manufactured to be used with the small,LW style cutting attachment. 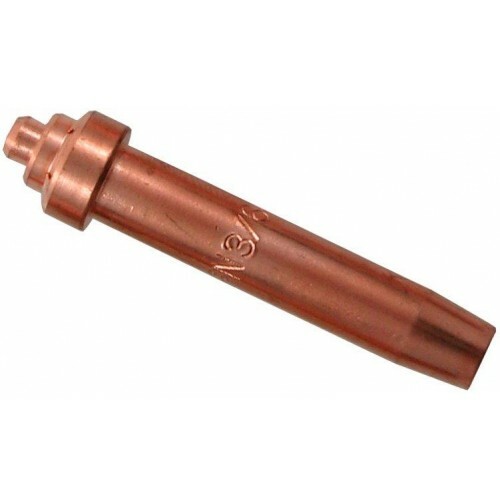 A-FN style cutting nozzle for use with Oxy/Acetylene. This product is a A-FN 1∕32" Nozzle (3 - 6mm plate). A-FN Style Cutting Nozzle 1/16"